Note: this post originally appeared last year and with back-to-school season in full swing these apps and tools can still provide a huge benefits for dyslexic students. Some updates have been made. With the school year fast approaching (or already in full swing) here are my favorite apps and products for accessibility. 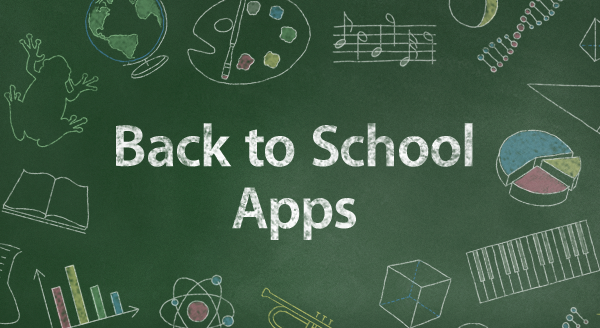 Hopefully these apps and products will help make the school year successful for those needing assistive technology to support their reading and writing. This list is geared toward students with dyslexia but many of the apps and products can also benefit other students. To learn more about any of these products or apps click on the accompanying link. Kurzweil 3000 is a versatile reading and writing program for Mac and PC. With Kurzweil students can read scanned and digital documents with high quality text-to-speech and synchronized highlighting. This gives students with reading difficulty the ability to listen to text and improve comprehension. Kurzweil also allows students to annotate documents using text notes, audio notes, highlighting, and circling. Test taking is also a breeze with Kurzweil thanks to its �fill in the blanks� function which allows students to answer test question directly on the digital document. Kurzweil 3000 is not only for reading help but also includes a number of helpful writing features such as mind mapping and word prediction. Click here to learn more about Kurzweil 3000. Bookshare is an essential service for people with print disabilities. Bookshare.org provides accessible e-books for qualified students. Members can choose from over 200,000 downloadable titles including many textbooks. Bookshare books can be downloaded in a DAISY format for use with text-to-speech software or in a Braille format. Similar to Kurzweil, the combination of text-to-speech and highlighted text can greatly speed up and reading and increase comprehension for qualifying students. Thanks to a grant from the United States Department of Education Bookshare is free to U.S. students. Click here to learn more about Bookshare. Learning Ally is another provider of accessible books for the blind and dyslexic. Learning Ally mostly provides human narrated audio books for their members. Learning Ally is also expanding to provide �VOICEtext� books which include human narration and highlighted text. The highlighting of �VOICEtext� books is not word by word like in Bookshare and Kurzweil, but rather is paragraph by paragraph. Learning Ally books can be read on iOS and Android devices using the Learning Ally Audio app. Click here to learn more about Learning Ally. Click read more below for more great apps and products. Voice Dream Reader is an amazing text-to-speech app for iOS. The app allows students to input text from the web, clipboard, Google Drive, Dropbox, Evernote, Project Gutenberg, Bookshare, and more. Once you have loaded your text into Voice Dream Reader you can have it read with a number of text-to-speech voices which are available at an additional cost. Voice Dream Reader also allows students to customize the look of their text. The app also includes highlighting and note taking features. Voice Dream Reader is perfect for reading Bookshare books on the go. These features are just the start; to learn all about Voice Dream Reader click here or click here to download from the App Store for $9.99. Khan Academy is a fantastic free services that provides video tutorials and reviews for many subjects. Videos walk students through difficult concepts step-by-step in a way that is easy to understand and follow. From microeconomics to basic algebra and much more Khan Academy has tons of content. You can use Khan Academy to learn new concepts or reinforce subjects tough in school. At the end of many lessons students can take a short quiz to help them determine if they are understanding the content being introduced. Khan Academy can also be used on mobile devices to on the go learning. Check out Khan Academy at khanacademy.org. Prizmo is an optical character recognition (OCR) app for the iPhone, iPad, and iPod Touch. The app gives students the ability to take a picture of a text documents and have it read back to them using text-to-speech in seconds. So if students comes across a document that they can�t read they can use Prizmo to quickly take a picture and have it read back to them. Prizmo can also act as a portable scanner that can convert printed document into a digital PDF format. Click here to read a full review of Prizmo or click here to download Prizmo. 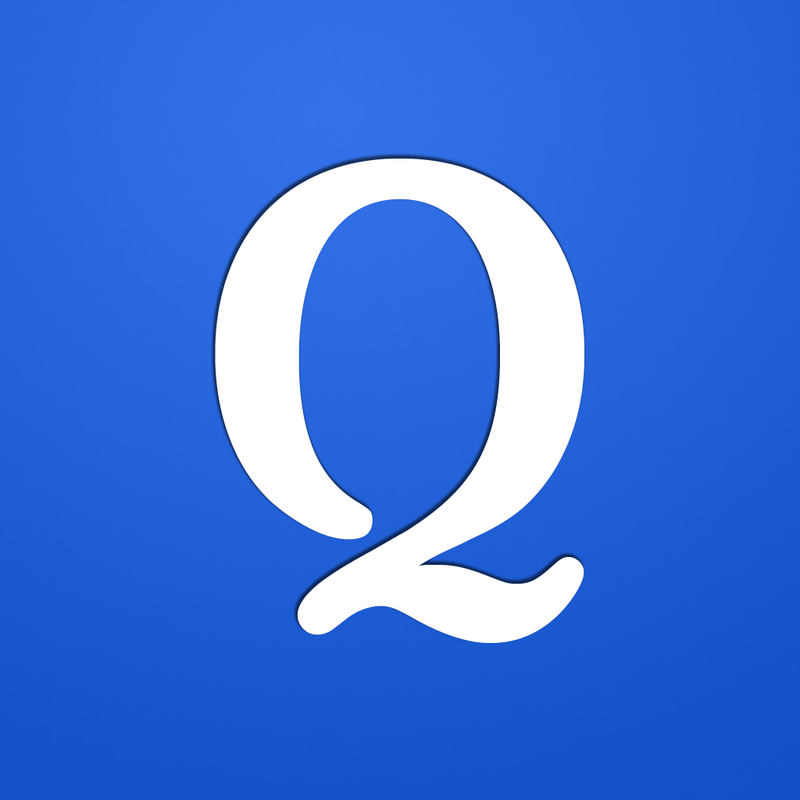 Quizlet is a virtual flashcard service on the web and for iOS devices and Android devices. The Quizlet app for iOS includes text-to-speech which can read all text on the flash cards. If you use a popular vocabulary book or textbook it is likely that another Quizlet user has already create a flashcard set for that book. Using the search function students can access these flashcards created by other Quizlet users. This gives students all the benefits of studying from flashcards without the hassle of creating them. To download Quizlet from the App Store click here or click here to download from Google Play. Click here to learn more about Quizlet. Inspiration Maps is a mind mapping tool for the iPad. Inspiration Maps documents are compatible with Inspiration documents created using a computer. Inspiration Maps helps students organize their thoughts in a graphical format. The app also includes many pre-made templates set up for specific subject. Click here to read the full review of Inspiration Maps. To download Inspiration Maps click here. The Sky Wifi Smartpen from Livescribe is a computerized pen designed for note taking. With the Sky Wifi Smartpen students can take notes on specialized notebook paper and have the written notes synchronized with audio recorded from class. The synchronized audio and written notes help students to review and fill in gaps of information that they may have missed while trying to quickly record information. The Sky Smartpen also automatically and wirelessly synchronizes notes to Evernote. Another useful feature of the Smartpen is the ability of one assigned note taker to wirelessly transmit digital notes and audio recordings to students who need notes provided. Using the Smartpen to provide notes to multiple students removes the delays caused by copying and carbon paper. Click here to learn more. Imagine how difficult it would be to navigate a bustling airport terminal as a person with a visual impairment. Navigating security, finding baggage check, and finding the correct gate all while trying to make a last minute flight is daunting for even the most seasoned travelers. San Francisco International Airport (SFO) will soon implement a system to help guide blind and visually impaired travelers from curb to gate. Starting with Terminal 2 this fall, the airport will install some 500 iBeacons for a trial. Current solutions such as GPS do not work well indoors because they are unable to provide precise location information, but beacons allow more precise locationa. When a user with the indoor navigation app walks by a beacon it communicates with the user's smartphone and transmits the location. With the location information sent from the beacon, the app can then guide users to restrooms, restaurants, boarding gates, baggage claims, and even charging stations. Initially the app will only run on iOS devices, but Android devices will likely follow. The system runs off Bluetooth technology which should have minimal impact on battery life. For blind users, points of interest and navigation instructions are read aloud using VoiceOver. If the trial in Terminal 2 is successful, it is likely that the program will expand to more terminals and more airports. This system, powered by a company called indoo.rs, is a promising development for indoor navigation. In the near future, it is conceivable that similar systems will help people with visual impairments navigate shopping malls, schools, or hospitals. The technology will also benefit sighted users who have trouble finding locations in the vast terminal. If your traveling through SFO Terminal 2 this fall give it a try. Popular video rental service Redbox agreed in a settlement to make 4,000 of their 35,900 kiosks located in California accessible to people who are blind or visually impaired. The service, which is commonly found in supermarkets and other public areas, is inaccessible to blind or visually impaired users. As part of the agreement, Redbox agreed to add headphone jacks, text-to-speech output, and tactile keyboards to kiosks. The roll-out of accessible video rental boxes will be gradual and is planed to take longer than two years. In the interim, Redbox has also agreed to provide phone support to help blind customers navigate the rental process. It is not clear if Redbox plans to add more DVDs with audio descriptions to benefit its new larger customer base of visually impaired users, but such a plan would seem to make sense. The settlement deal will inevitably increase Redbox's potential customer base by providing access to more people with disabilities. Unfortunately, the settlement seems to only cover a small fraction of Redbox kiosk in California. Hopefully, other kiosk companies will make their services accessible as well.